Xcalibur W can discover and enroll devices over the local network automatically or manually. 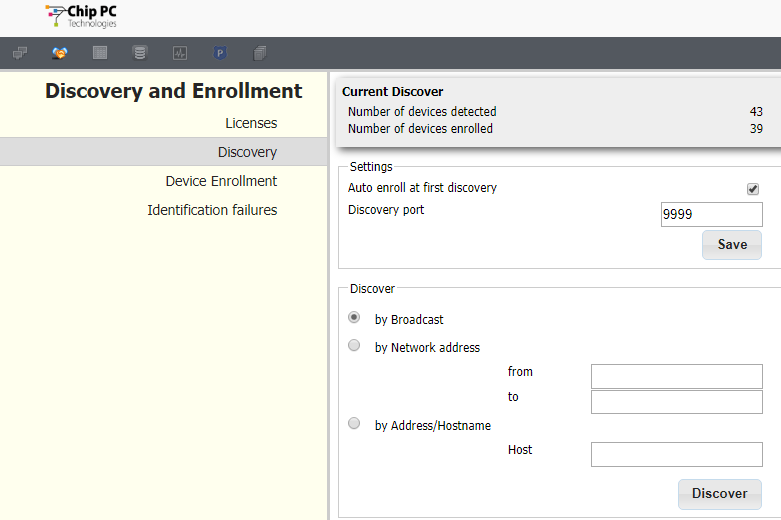 Discovery is typically used in LAN environments to enroll devices with Xcalibur W Agent installed. By default, the Enrollment port is set to TCP 9999. This is the listening port for the devices. Discovery may take several seconds before returning results. When finished, the Device Enrollment page appears. All of the discovered devices are added to the device list in Not Enrolled state.